Spring is a time for the cold-loving vegetables that like to be the first to the table. Where most of your garden is still waking up, there’s a little less to see after the first thaw, but these spring vegetables have had their morning coffees and don’t mind an early start. Lettuce loves to get up and go in the spring, ready to fill your plates with fresh, green colour and plenty of vitamin A. Here in Alberta, lettuce will usually be ready to enjoy in May, when they are just reaching full size. To harvest, tear away the outer leaves, making your way inward, and cut off the whole plant just before it matures. Radishes love to grow in the cold, as it gives them their most delicious and spicy flavour. Your radishes should be ready to pull straight from the ground in May, when the root is about an inch in diameter. You’ll want to get them young, before the ground heats up, for a crisper, more delectable taste. Rhubarb makes its debut late in spring, just before berry season, when it is best jammed into a delicious pie. In June, watch for when your stalks reach about 10 inches long and then cut or break them off to enjoy that terrific tart flavour. 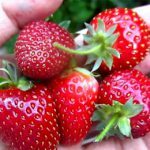 Summer is, by far, the busiest time in the harvesting calendar, with more fruits and veggies in it than all other seasons combined. With plentiful sun and warm weather, though, it makes complete sense that the brightest and best the garden has to offer would happen then. Tomatoes are made for summer, with drip-down-your-chin goodness everyone loves. In late June, look to harvest your tomatoes when the fruits are even in colour and just a little softer than firm. To pick them, gently twist the fruit until it falls off the vine. Cauliflower and Broccoli are internationally adored for their amazing flavour, vitamin C content, and their little tree-like shape that kids love (although you may have to push them to eat it). 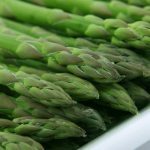 You can expect these vegetables to be ready as early as late June, when they feel firm and tight, and are just about to flower. To harvest, cut off the heads with a knife at a slant. 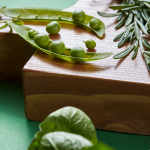 Beans and Peas are seed-filled pods loaded with mouth-watering goodness and plenty of vitamins and minerals to boot. You can expect them around July, when they are looking firm and well-sized. A perfect on-the-go snack, just snap them off and keep moving! Fruits, like berries and apples, need plenty of sun to make them the sweet, all-natural candy they are. Starting in July, look for fruit that is firm and evenly coloured. Whatever fruit you may be growing, it should easily break from the stem with a gentle tug. Carrots may or may not make your eyesight better, but they are yummy and high in antioxidants. Harvesting these orange veggies in July is simple – just loosen the soil and tug them up and to enjoy (but try to wash them off first). Squashes make their debut in summer, too, starting as early as July for summer varieties and lasting as late as September for the winter ones. 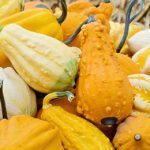 When to harvest squash depends on the variety. Summers need to be cut from the vine before they mature and winters will need to wait until they are fully matured. Of course, this is just the shortlist of summer-ready harvesting. You can also plan to enjoy beets, cabbage, cucumbers, garlic, onion, peppers, and many, many more! Fall is when the weather finally breaks into cooler, crisper air and it’s time we start pulling out our sweaters along with our harvests. With the days getting shorter and colder, we move back into a shorter list of produce, but luckily there’s still lots of fantastic flavours to pick! Swiss Chard is garden-fresh green that makes its start as early as July, but continues to grow and grow throughout fall and winter, even as late as February. When the leaves are still young and tender, cut them off. Leave the main stem intact, though, to keep yielding. Kale is a Pinterest-renowned superfood that loves to grow in cold weather. Just like its other leafy, cold-weather cousin, after harvests start in August, you can enjoy kale all the way into winter! You’ll know your kale is ready to pick when the leaves are about the size of your hand and you can start by tearing off leaves from the outside in. Brussel Sprouts may be the bane of every kid’s existence, but their little compact cabbage flavour is hard to beat in a roasting pan. You can typically expect your sprouts to be ready in September, when the heads are firm and tight. Simply twist, break off, and enjoy! Parsnips are the superbly sweet cousin to the carrot, turning starch to sugar in cold weather for amazing taste. 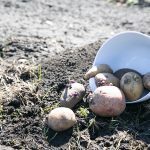 They’re typically ready in November, when the ground is already pretty solid, so you’ll need a spade to help dig them out if you don’t want them breaking. Our gardens are full of delicious, flavourful potential that can be enjoyed in every season of the year. 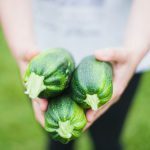 To make the most of every season, plant your garden packed with a variety of veggies, with different harvesting times, to enjoy garden-fresh flavours every month of the year, no produce aisle required.